If you’re shopping for a compact SUV at a great price, consider a used Toyota RAV4! 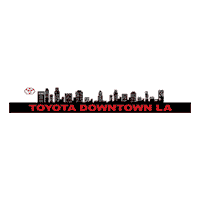 Currently, Toyota of Downtown LA has 4 in stock near Mission Hills and Cerritos. The Toyota RAV4, used or new, offers excellent gas mileage, a comfortable cabin for five people, and available all-wheel drive. It’s no wonder, then, why Cerritos-area drivers choose the RAV4 over the CR-V. Whether you’re interested in the Toyota RAV4 base model or Toyota RAV4 Limited, chances are you’ll find a great offer below. Explore our inventory, then apply for financing online! Test Drive a Used Toyota RAV4 SUV at Toyota of Downtown LA! The RAV4 SUV has a long vehicle history of exceeding West Hollywood families’ needs. Many of the newer models include features like cloth seats, alloy wheels, available adaptive cruise control, and available leather seats. Our sales and finance team can help you choose the right model for you, and get the best possible rates and terms on an auto loan. Contact us to schedule a test drive in Los Angeles—and don’t forget to ask about our pre-owned vehicle specials!